As Dave Barry used to say, I am not making this up: Somebody has written a song about neutrinos, and recorded a you-tube video. In an act of shameless self-promotion, the writers and performers of this song sent me an email after reading the neutrino jokes in the previous post. For your listening pleasure I am now sharing their song/video with you. 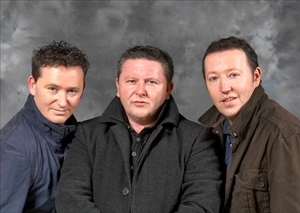 The name of the band is the Corrigan brothers. I must confess that I had never heard of this band before they sent me their email, though they appear to be established, and about as respectable as an Irish band can be (if they are not U2). I also am impressed by how quickly they wrote their song and put together a YouTube video using so many Einstein images. I also have some grudging respect for someone who is trying to take advantage of a pop trend using YouTube. Part of their speed is due to their use of the same tune from a prior pop hit (about Barack Obama, no less), but why hold that against them? To be sure, their chances of success are quite low, so only a foolish dreamer would try to start a viral campaign for their pop song this way. But who does not like foolish dreamers? There is a certain quixotic charm about bands who are trying to get ten percent of their fifteen minutes of fame writing songs about surprising results from a physics experiment. This is wordpress. It got set up three years ago, so cannot really tell you why it looks different.